So, you’ve got your business website up and running. Sweet. What about content? Do you produce enough content? In this situation, it’s very easy to think that you’re the only one in control of your online destiny. One blog post, one social media post, a beautiful landing page, and your online business seems to be ready for some serious conversion rates. But, do you realize that you can be both your best friend and worst enemy? Well, just Google yourself or your business and see. You may find many people with the same name and a similar name of their business. Who’s them? I’m glad you asked! “Them” are various copywriting mistakes made by you or other people writing on behalf of you or your business. We’re all humans, and mistakes happen. Many people made a mistake by thinking that “copywriting mistakes” are only those related to grammar, punctuation, word selection, etc. The reality is much more complicated, though. Let me explain the essence of copywriting to you really quick, so you know what I’m talking about here. Copywriting involves using written words to convince readers to take a certain action. The list of the most common actions includes subscribing to a newsletter, requesting a demo version of a product, or purchasing. So, copywriting mistakes are essentially ineffective or improper use of written content to persuade the readers. Their potential for damage is quite daunting because if you don’t avoid them, your business’ reputation may suffer. We don’t want that – let’s introduce you to four copywriting mistakes, so you avoid committing them and have control over your content. Many online businesses – especially startups and small ones – have limited marketing budgets, so they cut on everything they possibly can to save money. While redirecting money to be used for other business-related purposes may sound like a good idea, it can be dangerous to your reputation. If you have some experience in online business, you know that cheap doesn’t always mean quality. In fact, it can mean quite the opposite. Good copywriters are well aware of their money-making abilities, so won’t work for cheap. The ones you want for your business charge high rates, but they can dramatically increase your chance of achieving your goals. Let me give you some specifics. 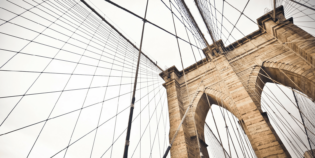 The following are the fees for top 75 copywriting projects involving expert copywriters, according to the recent American Writers & Artists Inc. (AWAI) report. Believe me, you’d be much better off without copywriters that charge low rates. Why? Because if you have any background in writing for the web, you’ll do a better job than them, because you care about your business. Simple. This is a classic mistake that many brands still make. No matter how experienced you are, typos happen and failing to proofread your content thoroughly before publishing will inevitably result in some serious damage to your business. For example, anyone who sees a typo in your marketing content will think that you don’t care enough about them because you didn’t want to spend ten more minutes to proofread your text. This also means that you don’t care about your readers. If you did, you wouldn’t have committed a silly typo. To avoid that, proofread your content ruthlessly and multiple times before publishing it. In addition to human proofreading, you should also consider online proofreading tools and services. The list below has some of the good ones. Grammarly. A well-known online proofreading tool that offers both human and machine proofreading and editing. EssaySupply. Quality human proofreading tool for online businesses that uses professionals in various business areas such as marketing, to ensure that the needs of the businesses, as well as their target audiences, are met. IsAccurate. There are many examples of marketing campaigns that failed to translate the meaning of the text, so use this tool to select a reliable translation service. GetGoodGrade. Keywords, headlines, attention-grabbing introductions, relevance – check all of this with this tool. Hemingway Editor. A popular online app that analyzes how easy it is to read your text and identifies mistakes. HotEssayService. This is a great proofreading tool that allows to check texts to find grammatical errors, spelling, and punctuation, and get a personalized report from a human proofreader. FlashEssay. If you want to improve your skills as a marketing content creator, consider using this service. It helps to reach this goal by allowing collaboration with experienced copywriters. In many cases, product developers who try to promote their own creations use professional language that the readers might not be familiar with. In other words, they use a lot of jargon when talking about specific features or components of the product (especially software products). As a result, people without a background in that area will not understand everything about that product. This, of course, means that using jargon alienates readers. This is exactly the opposite of your main goal of making them interested in your product. Use Unsuck it. This tool is an automatic jargon checker that identifies jargon so you can quickly replace it. Use Jargon Grader. Find and eliminate common jargon by simply pasting your text into this free tool and reviewing the flagged words. Don’t fall into the “But it sounds cool” trap. Remember: copywriting has a clear purpose: to convince the reader to do a certain action. This means speaking their language. The headline is the first thing that your readers see, so making a good first impression is critical for persuading them to read further. Moreover, there’s evidence suggesting that 60 percent of online media consumers read nothing more than a headline. Given that so-so headlines fail to engage readers, they increase the probability of your content being overlooked or ignored. 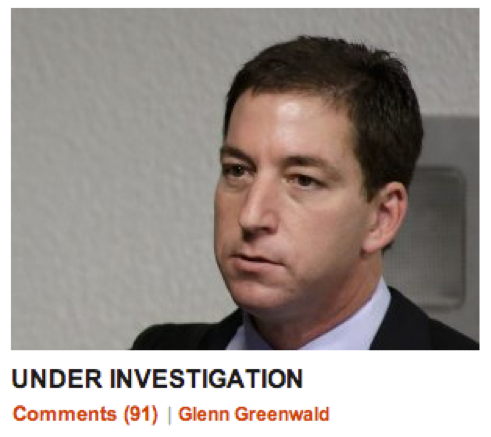 For example, take a look at this screenshot from the Huffington Post website. Can you even tell what that article is about? Here are more examples of ineffective headlines with explanations. Lack of Skill Causes Bad Headlines, Researchers Say. This type of headline doesn’t work simply because it states the obvious. Do research and come up with a topic that is relevant and interesting. For example, if you’re writing about tricks that could be used by Millennials, check out blogs such as TopDownWriter that provide topics currently popular with this target audience. How to make 2 Million Dollars in One Day. This is called over-promising and under-delivering. If you cannot guarantee that the tips you describe in this article will help the readers make 2 million dollars in one day, then don’t write about it at all. Star Trek: The Ultimate Fan’s Guide. Star Trek is a franchise that fans can talk about for hours. If you’re just describing this topic in a 700-word article, then it’s not an ultimate guide at all. This new trick will get you cheap airline tickets. Your readers aren’t stupid, so clickbait headlines like these ones do nothing but irritate. Promise value. The value can be new knowledge that will help them make better decisions, information that will save the readers from doing something wrong, instructions, a solution to a specific problem, an entertaining story, or a fresh perspective on the topic. For example, if you’re writing job search, use information from reliable sources such as ResumesCentre to get tips on resumes and general job search. Use the free Headline Analyzer from CoSchedule. It will give a score to your headline and rate its ability to generate social shares and significant traffic. Optimize your headlines for keywords and current content standards. For expert advice on content standards and keyword research, you can use tools like RewardedEssays. Let’s now see some examples of headlines that follow these tips. The first example clearly identifies the benefits for the readers (plus, it gives examples that worked previously) as well as describes what they’re going to discover in the article. This example clearly defines the target reader – copywriters – and challenges them to test their skills in something they do on a regular basis (email copywriting). Any copywriter can write content, but it takes a certain set of skills and knowledge to create content that will persuade readers to take action. The main reason for such a difference is the copywriter’s ability to avoid mistakes that damage reputation. If you develop this skill, you’ll reduce the chance of producing ineffective content and increase the chance of eliminating copywriting fails. 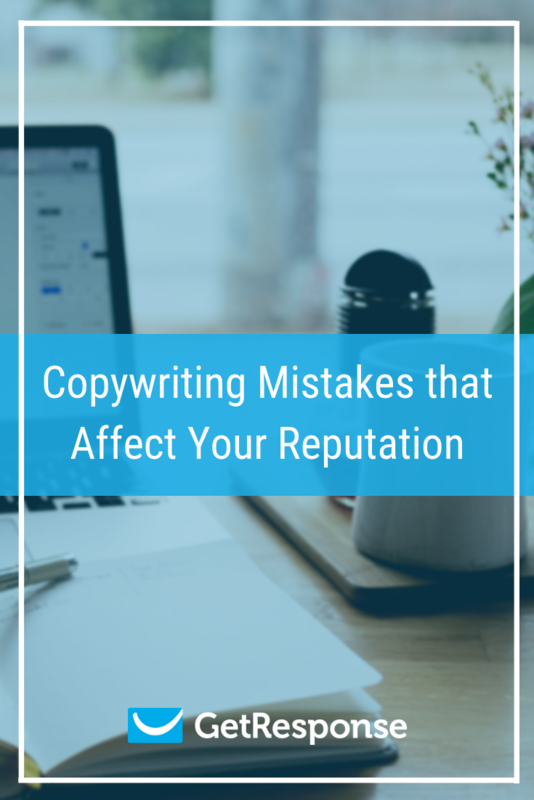 Hope these tips will be useful for you to avoid copywriting mistakes and ensuring that your content is actionable, useful, and interesting for your target readers. Happy copywriting!